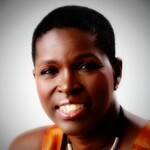 Sharon Hurley Hall is a professional freelance writer and blogger. Her career has spanned more than 20 years, including stints as a journalist, academic writer, university lecturer and ghost writer. One of the reasons I love being a professional blogger is because I believe it gives me a built-in advantage when it comes to marketing my writing services. I'd be lying if I said I realized that at the start; in fact, I probably let a few good marketing opportunities go by because I was blissfully unaware. But with hindsight I can see how blogging helped me create an online presence that keeps blogging gigs coming my way month after month. Here's how I did it. One of the characteristics that fuels my blogging also helped me get more from the content I created. Back in 2007, I joined Twitter, because I loved checking out new web stuff. I wasn't really using it for marketing (or at least, I didn't KNOW I was), but I'd show up and chat with people. Some were people I knew from a group blogging site I belonged to; others were people who seemed to have the same interests. Occasionally, I'd post a link to something interesting I found. That's pretty much how I still use Twitter, though there's less chatting and more linking as there's more content to share. How this related to blogging is that it gave me an ever-increasing pool of my own work to add to the sharing mix, and Twitter was the perfect place to do it. When I joined Twitter, it was the big thing in social media, and many of the big sites that are popular now weren't even around. And one thing Twitter had going for it was an API that allowed multiple external apps to post to it. I'm not a fan of total automation (social media means showing up and being social, after all), but partial automation can be a big time saver. It was great to know that whenever I published something new, there was an easy way to make sure that people who could hire me saw it. I've used a lot of tools for this over the years. These days, I tend to share work that I publish on other people's sites via Buffer. This allows me to schedule sharing. Buffer also has analytics, so I can go back and see what's been popular and share it again. For my own site, I use Missinglettr. I love this tool because it automates creation of hashtags and images (crucial for visibility these days). In addition, the year-long sharing schedule means my work is getting out there without bombarding people. People are always talking about the importance of specialization and niching as a writer. I don't completely agree. I've always been more of a generalist. At any given time during my writing and blogging career you could find me writing about health, lifestyle, travel, social media, web tools and much more.The mix changes slightly every year, but there's always a mix. While I don't write about everything, I write about a lot, and since I love learning, writing about new things feeds my spirit. I'd say I specialize widely, building up expertise in a range of niches and about a range of topics. This provides another huge advantage when marketing my writing. The more topics I write about, the more places I can be published and the better my online portfolio looks. For me at least, more is more. Taking advantage of opportunities to publish on different topics and websites gave me a toehold in a wide range of niches as well as a wider pool of potential clients. Specializing widely isn't just about topics but also about types of writing. With a journalism background, I have an advantage. That has allowed me to write for blogs that cover tech and social media news, to create feature style articles for sites, to create white papers and ebooks, and more. Even today, my ability to conduct an interview and turn it into a readable blog post is one of my major selling points to clients. If you're using blogging to market yourself, you need to get the credit. It may seem a strange thing to mention, but almost every professional blogger I know also does ghost blogging - blogging without a byline. That's good for experience, but isn't that great for promotion. There are two ways to handle this. First, don't just be a ghost blogger. Contribute to a site that's well-respected in the areas you write about. That way you get paid AND get marketing collateral. For me, that site is Crazy Egg. I've had the opportunity to do Q&As, reviews, tutorials and in-depth guides - and my name is on every single one of them. That's resulted in lots of approaches from other potential clients who have seen my work there. Even better, CrazyEgg also shares my work via their social media accounts, further increasing its visibility. I'm not pretending I knew it was going to work out this way from the start, but you probably already know which sites are influential in your niche - one kickass idea may be all it takes to get a foot in the door. Second, don't be afraid to ask if you can claim credit for the work. It doesn't happen every time, but I've asked some of my clients and they have agreed. The work usually appears under the name of the client, and it's written into my contract that I can share it and add it to my portfolio. If you need to sell it, point out that this adds your social media reach to theirs. In my case, a social media audience of more than 4,000 has proved a good convincer for some. Using these three methods has helped me connect with potential clients who are interested in my professional blogging services. I've also ended up with unsolicited testimonials from people who have found my writing helpful, resulting even more writing and blogging jobs. How have you used your blog posts as a marketing tool? Want to grow your blog? Missinglettr helps drive traffic back to your blog by turning each of your posts into a 12 month social campaign.